That’s a little scary. Perhaps Google’s survey was performed on a bad day? Unfortunately, I’ve a horrible feeling that the figures would be similar no matter where you asked the question (except for Finland, which appears to have a disproportionately high percentage of technically-literate people!). This leaves web developers with a problem. Whilst we may be passionate about our browser of choice, the vast majority of non-geeks in the real world use whatever browser is on their PC. Most people will only switch if a techie-friend does it for them — and I bet they don’t notice any significant differences. How can we encourage the adoption of newer and better technology if no one knows what we’re talking about? I suspect many of the ‘kill IE6’ campaigns have a negligible effect, and ignorance must be partially responsible for the slow and lingering death of the browser. 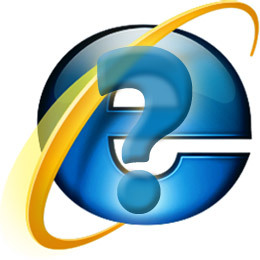 How do you explain what a ‘web browser’ is to the 92% of people who do not know or care?